Following the invitation for Magonia readers to contribute to our 'First Read' feature and tell us about the books which particularly influenced their views on UFOs, the paranormal and other topics covered in Magonia, we received this contribution from author and editor William J. Grabowski. To label John A. Keel's 1975 The Mothman Prophecies 'a classic' is like calling a Jaguar XJ 'good transportation.' Across decades, from music-obsessed teen to full-time writer/editor, I have observed the book's divisive effect on readers. Too, I have noticed another effect: astonishment, mingled with fear. At 17, many things were working to open my mind, but Keel's utterly entrancing - and terrifying - account of Point Pleasant, West Virginia's besiegement by a William Corliss catalogue of anomalies, the winged Mothman as host, detonated my skull. To my much-younger self, residing in northeast Ohio (under four hours' drive-time from Point Pleasant), Keel's journalistic deadpan frightened me with its apparently nonfictional descriptions of pure nightmare: Mothman, the seven-foot-tall winged entity with eyes glowing red like bicycle reflectors; sinister MIB whose gushing threats were only amplified by absurd behaviour; UFOs studded with prismatic lights, menacing the skies as if scheduled; isolated homes terrorised by the cries of invisible babies in dead gray hours; pounding poltergeists; bizarre telephone calls; and Keel's dawning dread that someone, or some Thing, knew in advance his every move, even mimicked him both telephonically and physically. I'll tell you, more than any other book, The Mothman Prophecies profoundly affected how I viewed the world, at once disturbed me and opened my mind to dark forces churning behind the days. What made the read bleaker still was my recalling, well into it, watching television on 15 December 1967, when network news interrupted to tell us that the Silver Bridge, laden with rush-hour traffic, had collapsed into the icy black waters of the Ohio River. Decades later, at the 2003 Mothman Festival in Point Pleasant, I briefly met John Keel, on his way out of a shop where he had been signing books - lots of books. I didn't then know about his failing vision, attributing his guarded stride to age. How tall he was! I'm 5 feet 11 inches, and Keel had a few on me. His white suit, black shirt, and white tie stood out among the hundreds of attendees, as if Keel were still flipping the bird (pun intended) at his old enemies by presenting as an anti-MIB. Perhaps he was. I visited Point Pleasant, and surrounding areas, four times more, explored the vast TNT area where once stood the North Power Plant, site of the (in)famous 15 November 1966 Mothman sighting by Linda and Roger Scarberry, and Steve and Mary Mallette. This 3,655-acre range, about seven miles north of Point Pleasant, is also known as the McClintic Wildlife Management Area, and has required over the years much reclamation to restore the ponds and fields and woods from industrial toxins recklessly handled during World War II, when the region was called the West Virginia Ordnance Works and site of explosives production. Walking and driving in the TNT area (especially at night) is a soul-tweaking experience. Miles and miles of lightless narrow roads, populated with creaking crickets and trees hissing in the wind. It isn't hard to believe practically anything might happen, and no one the wiser. Keel described its silent desolation with masterful precision, and during the Mothman/UFO activity spent countless hours alone there. Even local police feared joining him. Another aspect of The Mothman Prophecies that chilled me was Woodrow Derenberger's account of his 2 November 1966 meeting with alleged ufonaut Indrid Cold, on then new Interstate 77 near Parkersburg, WV (not far from where I now live). My family, then living in the Cleveland, Ohio suburb of Solon, travelled that same highway during summer vacations throughout the 1960s. I am not a “believer,” in the sense accepted by Magonians and Forteans alike, but do think something occurred in Point Pleasant, some of which might have involved genuine anomalies. But, like the late Jim Keith and still-on-this-side-of-the-ground Andy Colvin (author of the Mothman's Photographer series of books, and producer of an eleven-hour documentary), I think the town was selected for an ambitious psyops program, perhaps associated with some MK-ULTRA sub-project. After all, Defense Logistics Agency once had a facility there. It is sad to know how little Keel benefitted, financially, from the book's publication. This would eventually be remedied--decades later--when it was optioned for film production. I have read The Mothman Prophecies many times, referred to it for my own writing - fiction and nonfiction, and it holds up quite well. Sure, that scoundrel Gray Barker was responsible for a few hoaxes, and Keel busted him for most of them. Even after watching the PBS Gray Barker documentary, Shades of Gray, I find the man's behaviour inexplicable, though do value his very early work. 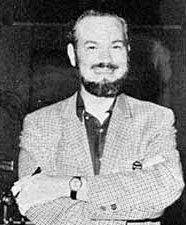 John Keel, at least in my mind, never was burning so bright as during the writing of The Mothman Prophecies. Hell, he actually gave us two books, as the publisher considered Keel's original manuscript too thick. Keel published, after additional editing and writing, this “left-over” material as the equally classic (if more sober) The Eighth Tower, recently reissued by Anomalist Books. Thanks for the review, of a book that has spawned what is now a growing mythology, for better or worse. Keel's book I consider one of the most important Fortean/paranormal/occult books of the late twentieth century. I feel it holds big clues to the mysterious and confounding Trickster dynamic of all things Magonian, yet paradoxically these clues only confound us further. Saying Keel is divisive to UFO cognoscenti, is stating the obvious. Yet harping on about where Keel erred or blundered (as many Magonian pedants do, and to be fair it is necessary to point out Keel's faults) is to miss the bigger picture. Ufology's decline and fall (OK it was never respectable and highbrow or scientific to begin with) into ET Roswell mania, alien abduction literalism and related is despite of Keel and refusing to heed his nuanced UFO and Fortean output. For what it's worth, I disagree with the reviewer re MKULTRA and its association with Mothman, although they are tangentially related via a perverse Trickster motif, and the mythology that has built up around both. Great to see that Keel's masterpiece is still making waves. Much like William reading Mothman Prophecies as a teenager blew my mind too and it still works for me. Reading Keel gave me the push I needed to become a writer, Meeting him in the flesh in 1992 - after I got my first newspaper job - put the icing on the cake. Synchronicity strikes again: I read this review just days after completing the first chapter of a new book in which I talk about Keel's influence on my introduction to the wacky world of UFOlogy. Don't listen to his detractors. Keel was a genius who will one day get the recognition he deserves. As one of his UFO friends (was it Mr Apol?) once said: "Wake Up Down There!" Hello, Dave. Thanks very much for commenting--a real boost to see your name, as I'm an admirer of your work. As you know, synchronicities mount when you enter the Keelian/Magonian/Fortean "field" of research and writing and publishing. If I may ask, when is your book due? I don't want to miss it. Glad to know you "get" John Keel and his sustaining relevance. All best to you! Lawrence, thanks for commenting. My piece wasn't a review, per se, but rather a reflection on Keel's work. The MK-ULTRA mention, of course, is a theory--nothing more. By now, any who might have had a hand in the events are dead. You are right indeed to cite the Trickster, a constant motif in such matters, and one brilliantly explored by George Hansen and others. Jungian? Perhaps, whether we like that or not. But there it is. Perhaps THE most important aspect. Whether any of this stuff is "real" doesn't matter in the long view. What DOES matter is its ineffable tattooing of our collective culture's spiritual despair and fragmented yearning for answers to ultimate questions. Keel knew this, as does Vallee and others--John Rimmer, Peter Rogerson, and all their fellow searchers who probably sweat blood keeping Magonia alive. Thanks again. Hello William, my book is due out in 2015 but please PM me via the contact email on my website homepage and we can discuss further. Much enjoyed reading your reflections on Keel's tour de force! Will be in touch shortly, Dave. Thanks for commenting! Had no idea that "Eighth Tower" was primarily composed of Mothman leftovers -- thank you for that. I am a bit baffled you'd consider such a gloriously unhinged book "more sober," though. #DAUG: Thanks for commenting. What I meant by "sober" was that Keel's approach in The Eighth Tower was more scholarly than Mothman Prophecies' in-the-trenches journalistic style. But yes, I agree that Eighth Tower is brimming with weirdness and disturbing implications.